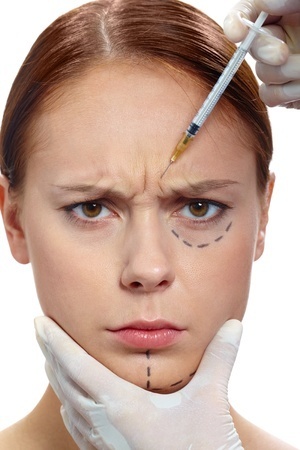 Injections of Botox into facial muscles weaken or paralyze the muscles by blocking nerve impulses. When muscles are paralyzed, they relax and the attached skin is stretched with them. After Botox, the treated muscles no longer contract, while the overlying skin looks smoother and unwrinkled. What the purveyors of Botox don’t tell you is that paralyzed muscles become smaller and weaker over time. If they do not contract, they atrophy. Muscle weakening cannot possibly be a good thing, as it will elongate the muscle and make it more prone to the pull of gravity. There is also a health hazard to consider. Botox ads claim that the procedure is safe. But if so, then why does your body manifest all sorts of detox symptoms trying to get rid of this poison? Newly published research shows that Botox also moves beyond its injection site and can weaken nearby muscles. The study, conducted at The University of Calgary, adds to mounting evidence of the unintended consequences of injecting this weakened version of “botulinum toxin.” The research showed that the toxin could also affect the working of the neighboring muscles. This is not the way to beauty. But for those interested in one of the more bizarre addictions of our time, it is the way to more Botox. I choose raw foods and facial exercises. Face exercise experts like Santa Maria Runge, Deborah Crowley, Carole Maggio, and Carolyn Cleaves have developed very good exercise programs. Santa Maria Runge developed her program in her late twenties, Deborah Crowley and Carole Maggio in their thirties. Carolyn Cleaves improved her face appearance in her late fifties without the benefit of a raw food regimen. On the raw foods lifestyle, I never even needed such a program until I was 50. I thought: “If these women could take ten years off their faces without raw foods, how much more could be achieved by combining the raw food regimen and facial exercises?” The results, I knew, may prove amazing. And they were! 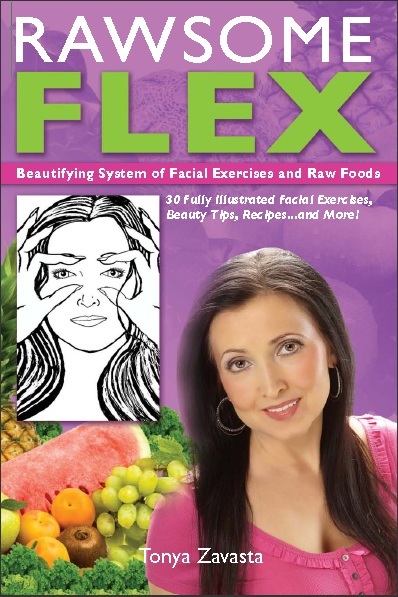 For the first time here is Rawsome Flex, a full system of facial exercises thoroughly integrated with the principles and practicalities of the raw food lifestyle. Here’s an ideal program for a natural facelift, entirely complementary to the raw food lifestyle. I've recently released a new product - The WrinkAlign Forehead Patch, an easy yet effective method to reverse deep expression lines.